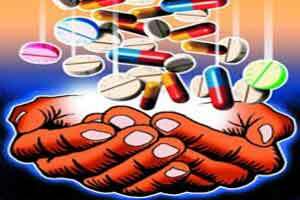 MUMBAI: India has revised its list of essential medicines to add drugs for diseases ranging from cancer and HIV/AIDS to hepatitis C, in a move aimed at making them more affordable. Reuters reported in April that more HIV/AIDS and tuberculosis medicines were likely to be added to list. “The NLEM 2015 has been prepared adhering to the basic principles of efficacy, safety, cost-effectiveness; consideration of diseases as public health problems in India,” a notice on the website said. The new list takes cues from the World Health Organisation’s 2015 list of essential drugs, which the United Nations agency defines as those that satisfy the priority healthcare needs of people and ensure affordability. In initial thoughts, industry executives said they were yet to study the list’s impact. “We will be seeking clarification and a better understanding of its implications,” said Ranjana Smetacek, director general of the Organisation of Pharmaceutical Producers of India (OPPI) which represents large foreign drugmakers. India’s drug pricing regulator has struggled in the past year to implement price caps and expand them to cover more drugs.